The Ontario government must curtail its spending with the kind of cuts not seen since the Mike Harris years, according to a report by former TD Bank chief economist Don Drummond. Released Wednesday, Drummond’s report calls for extensive spending reductions and warns that without his recommended belt-tightening, the province will face a crippling $30-billion deficit by 2017-18. Drummond warns that failing to follow such severe austerity measures could cause Ontario’s debt, which currently stands at $215 billion, to balloon to more than $411 billion in five years. 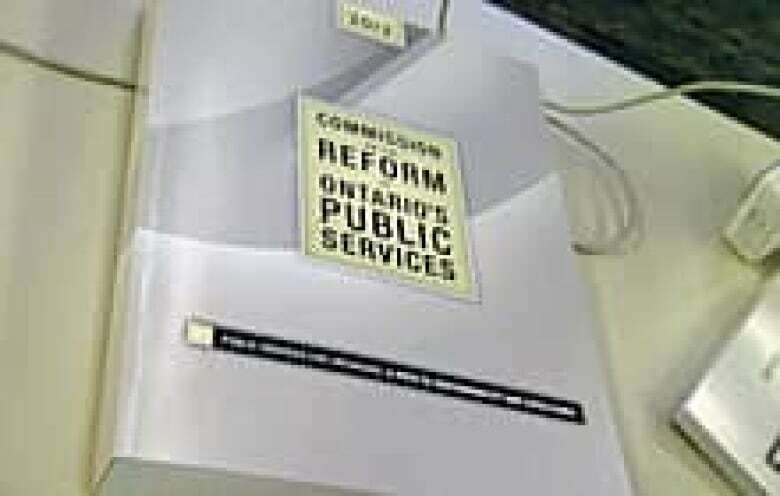 To avoid this and balance the books by 2017-18, Drummond outlines 362 recommendations in his 665-page, two-volume report, which he calls "a wrenching reduction from the path that spending is now on." His recommendations include moving more patients away from hospital care to cheaper forms of health care. He also calls for increases in school class sizes, tighter controls over public-sector wages and moves to curtail the underground economy. The long-awaited report from Don Drummond was released Wednesday. He said the moves are "necessary if Ontario is to escape its recent history of rising public debt that forces the government to spend more than it should on interest payments." He also admits the cuts will be painful. "The government will have to cut program spending more deeply on a real per capita basis and over a much longer period of time than the Harris government did in the 1990s," he writes in the report. Key to meeting the target is capping annual increases in health-care spending at 2.5 per cent, something Drummond said no jurisdiction has achieved in the last 30 years. Health-care spending in Ontario currently rises by almost seven per cent a year. Where do you think Ontario should cut spending? Have your say. Drummond wants to see more home-based care and a move toward cheaper health-care providers, such as nurse practitioners and personal support workers instead of doctors. In education, Drummond calls for annual spending increases capped at one per cent and says current increases of three to five per cent a year are not sustainable. He calls for cuts to non-teaching positions and suggests school bus service be subject to user fees and opened up to competitive bidding. Drummond also wants the Ontario Child Benefit held at $1,100 per child, per year, instead of allowing it to rise to the $1,310 called for in the 2011 budget. Other measures call for the province to boost revenue by clamping down on the underground economy, and allowing slot machines in more locations. He also wants the LCBO to consider expanding locations and the Ontario Lottery and Gaming Corporation to fold its two head offices into one while closing one of two casinos in Niagara Falls. Leading up to the release of the report, the government hinted it was free to choose which of Drummond’s recommendations it will adopt. For example, Drummond calls for the elimination of all-day kindergarten, which the Liberals have already said they will not do. 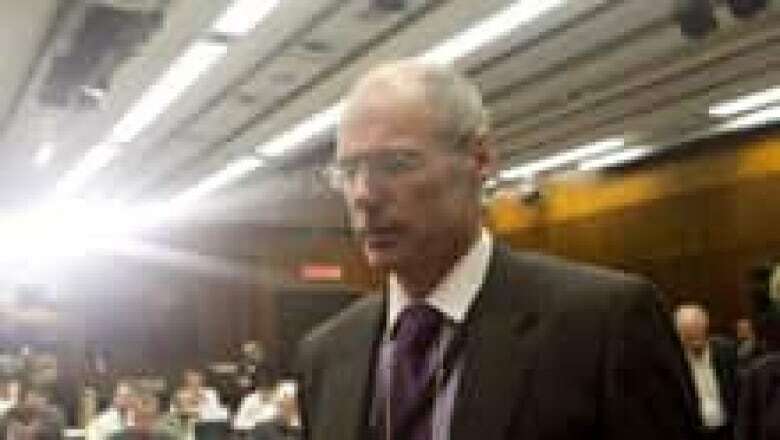 Drummond, however, says failing to follow his recommendations means the government will have to find the money elsewhere, either through new taxes or other spending cuts. "Our recommendations can deliver the needed degree of spending restraint to balance the budget by 2017-18 only if all are implemented," he writes. "We expect that many of our recommendations will be rejected. We accept that, but each rejected recommendation must be replaced not by a vacuum, but by a better idea, one that delivers a similar fiscal benefit." Responding to the report on Wednesday, Finance Minister Dwight Duncan said Drummond's report "shows the magnitude of the challenge facing Ontario, but it doesn’t have all the answers." Duncan said he will take Drummond's recommendations into account in the spring budget while also gathering input from "caucus, opposition parties, stakeholders and families." Duncan wouldn't say if the government would follow the recommendation to scrap the 10 per cent reduction on electricity bills. But he did say the government would consider an NDP request to delay a scheduled cut in corporate taxes. Progressive Conservative Leader Tim Hudak said the Drummond report makes it clear that the governing Liberals have got the province into a mess. He said Ontario should realize its limitations, set priorities and take a hard look at what types of services it needs to deliver. "You can only spend what you have," Hudak said. "We just can’t keep piling up deficits." Where should Ontario cut its spending?